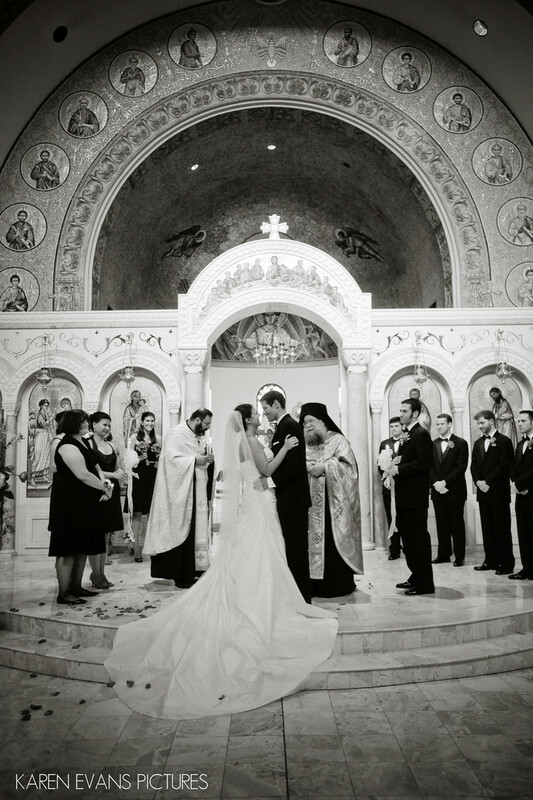 Katherine and Chris were married at the Greek Orthodox Cathedral between downtown and the Short North. This church is lovely and ornate, and the fact that I was allowed to shoot the majority of the ceremony from right behind the groomsmen was a definite plus for the amazing close-up shots I was able to get during the ceremony. For the first kiss, though, I made my way around so I could capture it and the splendor of the cathedral. (If you're wondering, my second photographer shot the ceremony from that vantage point while I was up front so nothing was missed! )Keywords: greek orthodox church (3).